It’s a phrase we at Klipsch live by when it comes to our best-in-class products. Sometimes, we want to take a moment to touch on specific artists who’ve helped influence what we’re listening to on these amazing speakers. Those words are actually printed inside the sleeve of “The Clash Hits Back,” the two-disc retrospective of the band’s history. While it’s no secret The Clash played a pivotal role in punk music and rock in general, it’s not as widely known that the band also lays claim to its own holiday. International Clash Day is February 7, 2019. While The Clash was a London-based band who rose to prominence in the late 70s/early 80s, the roots of this holiday come from a different time and place - Seattle, Washington and the year 2013. “A big segment of the audience loved it. 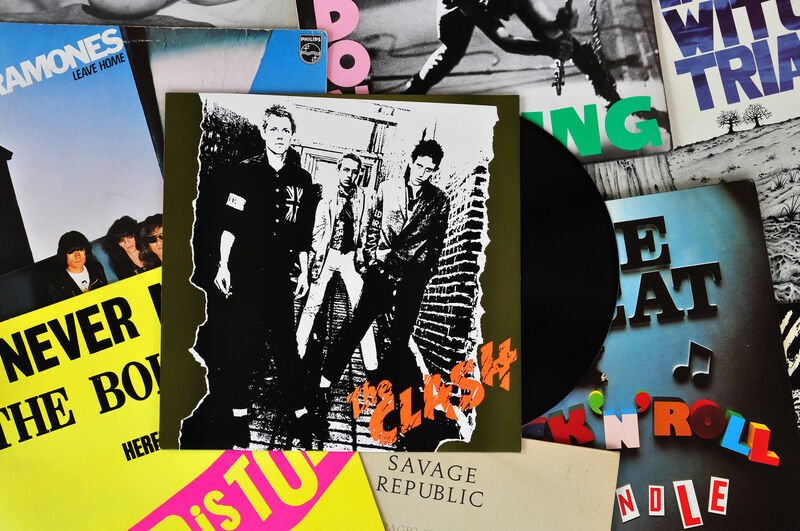 They were sending in their Clash requests, emailing their thoughts about what The Clash has meant to them – it was good radio,” Schueler says. “The Clash and lead singer Joe Strummer were known for their activism and their commitment to social justice. At the heart of many of their songs were messages that were anti-racist, anti-poverty, anti-war, and pro-solidarity, diversity, inclusion, and peace. We started to dedicate the whole broadcast day on February 7 each year to these ideas, and the music that was inspired by these ideas. International Clash Day continued year after year and the holiday took on more meaning as we dove deeper into the message behind the songs,” he says. Schueler says they encourage individual participation by sharing memories, photos, and memorabilia, as well as what The Clash meant to them, all using the hashtag #internationalclashday. Share your favorite Clash songs in the comments!